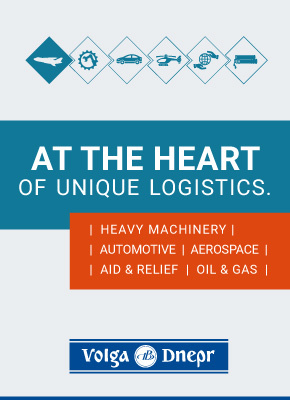 Senator International’s expansion veered south this month, after having established a dedicated freighter service from Hahn in Germany to Greenville-Spartanburg, and on to Mexico two years ago. The forwarder has now launched a freighter operation to South Africa, a 747 freighter twice a week from Hahn to Johannesburg, prompted by strong demand in the region. Ethiopian Airlines is also upbeat on demand for lift in and out of Africa and this month took delivery of its eighth 777-200 freighter. Two more are due next year, following two 737-800 freighters, first due this month. Fitsum Abadi, managing director of Ethiopian Cargo & Logistics Services, cited rising demand in a number of African markets, such as Kenya, Nigeria, Cameroon, Zimbabwe and Zambia, as well as his company’s home market, which has outpaced the rest of the continent in recent years. Ethiopian plans to field four 737-800 freighters on regional routes to feed its long-haul network, which has been expanding rapidly. The airline’s tonnage climbed 18% in fiscal 2017/18, and Mr Abadi is upbeat on future growth. This expansion drove Ethiopian to the top spot among African carriers, ahead of South African Airways, Kenya Airways and EgyptAir. “Definitely the one to watch,” said Liana Coyne, director of Coyne Airways, who overlooks the African network from her base in Dubai. She sees parallels with the Gulf carriers’ expansion in their early days. 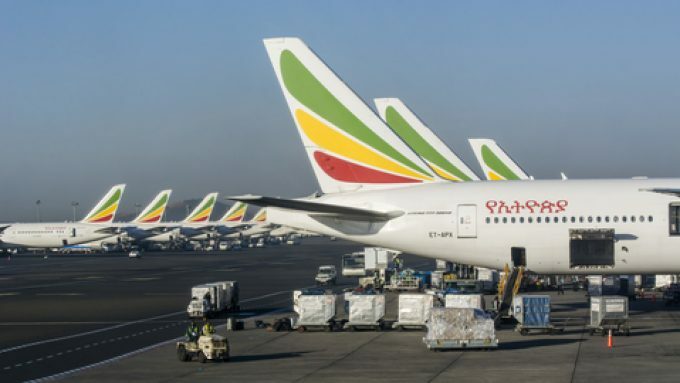 Besides investing in modern aircraft, Ethiopian has also put money and effort into its ground infrastructure and last year opened a $125m cargo terminal at its Addis Ababa hub, the largest in Africa. And other players in Africa are also showing determination to up their game. Kenya’s airport authority announced this month that it would adopt TIACA’s Cargo Service Quality tool in an effort to raise service quality at its cargo facilities. Ethiopian will be a tough act to follow, but the appeal of Addis Ababa as a gateway for shippers and forwarders is hampered by a lack of carrier alternatives. Alongside Lagos and Jo’burg, the Kenyan gateway is one of three hubs Coyne uses for its African network, built on interline agreements with a slew of carriers for transits to other markets, which are the main focus of the operation. Rather than compete on the crowded trunk routes, Coyne concentrates on other, harder to reach points on the continent. It has agents at the hubs to receive incoming shipments and place them on connecting flights to provide better control than the normal interline arrangements. Management has been mulling options recently, but at the moment there are no definite plans for expansion. “There are always doors closing and windows opening,” Ms Coyne said. “Some of that is quite normal when it comes to serving verticals such as aid, or the oil and gas sector, but some issues are regulatory. Another constraint on expansion has been an apparent rationalisation of capacity on trunk routes, as some carriers have reduced their presence in Africa, seeing stronger potential elsewhere. Meanwhile, the large African carriers in Ethiopian’s tailwind – notably South African Airways and Kenya Airways – are still struggling financially. One carrier that seems unlikely to avail itself of opportunities presented by growing demand for air cargo capacity is Air Zimbabwe. Burdened with debts, reported to be aroubnd $300m, the airline currently takes online bookings for only four routes, two of them domestic. The carrier went into administration in October and is, it is said, to be sold by the government. Notwithstanding the constraints, Ms Coyne remains convinced of the potential of the African market, even if the areas for growth are constantly shifting.